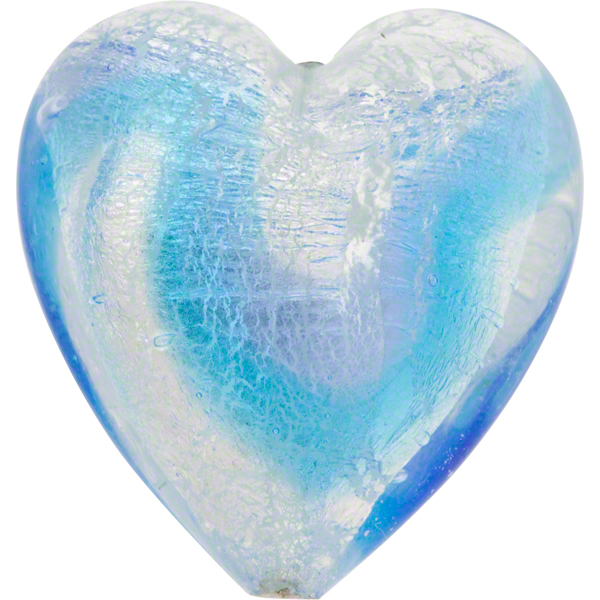 Large Venetian Bead puffy heart measuring about 30mm across transparent colors of Moretti glass over white gold foil with swirls of contrasting Murano glass colors. Handmade by lampworkers in Murano. These beads feature great swirls of colored Moretti glass straight from the furnaces of Murano. Vertical hole which helps make this a great pendant on a necklace. The design colors are aqua and blue Murano Glass over white gold foil.